I have already covered in my previous posts what the DASH diet is and its major health benefits (lowering Cholesterol Level, Natural Treatment for Hypertension, Speed up the metabolism and loss of weight and belly fat). You should read my previous articles to get a good background about this diet. I’ve mentioned in the past that this diet has lots of health benefits such as increased metabolism for faster weight loss and it’s a natural treatment for high blood pressure hypertension. By lowering your blood pressure you will reduces your chances of having a stroke or a heart disease. 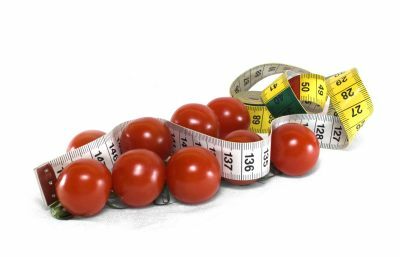 This article is bases on my book about the Dash Diet. This book has plenty of information about the Dash Diet and plenty of Practical Advice On The Best Foods To Eat On The DASH Diet. If you are serious about losing weight and maintaining a healthy wellbeing you should check out my book now. After you learn about the health benefits of this diet, it is natural that you want to start on the diet right now! But, one of the questions you have to ask is: How to incorporate the DASH diet into your lifestyle? The fact is that many foods you eat at restaurants or that you purchase which are pre-packaged are high in sodium. We know that hight level of sodium contribute to high blood pressure hypertension. The question is how can you incorporate the diet in to your day to day routine, while still enjoying some of your favorite foods, and visiting some of your favorite restaurants to dine out with friends and family? For starters, you are going to want to include more fruits and veggies in the diet each day. So, if possible go for dishes that contain fruits, or have greens in them, as they are a major part of this diet. The more fruits and vegetables you eat the better you would feel. Fruits have lots of dietary fiber and high dietary fiber diet has lots of health benefits. I will cover the benefits of high fiber diets in future posts. It is also important to cut out foods that are high in saturated fats, cholesterol, and Trans fats (You want to lower your Cholesterol Levels). Although this might not be ideal on the go, when you are at home, it is quite simple. Just “read the label”: Purchase foods that have low level of Cholesterol as written on their label. Red meat is something that you should limit. one easy way to do this is to choose other lean proteins during the day. You can eat chicken, or other meat and fish, or you can incorporate protein shakes in the diet. You do not have to eliminate red meat, just limit it. An easy solution for snacks, are nuts, as they are high in the healthy fats your body needs, and are easy to take around with you nearly anywhere. If you are hungry, and need a quick snack, they are readily accessible. It is also important to avoid processed foods. So, instead of white bread, whole grains are the choice to make. If you are trying to find simple recipe ideas, and would like to incorporate the diet in to your lifestyle, there are thousands of ideas out there. You are simply limiting processed foods, sweets, and refined sugars, and going for all natural food options. With sodium, you are going to have more sodium one day and less on the other day, and this is okay. The goal of the diet is to keep you close to the recommended average, for a period of time. And, with many food producers making low sodium options, you can easily stay at the limit, or close to it, for each day of the week. It is a simple diet with lots of benefits such as increased metabolism for faster weight loss and it’s a natural treatment for high blood pressure hypertension. By lowering your blood pressure you will reduces your chances of having a stroke or a heart disease.